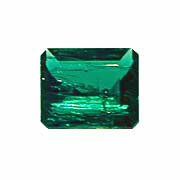 Measurements:	7.75 x 5.5 x 3.22 mm. Deep green color. There is a small but visible crack on the girdle.